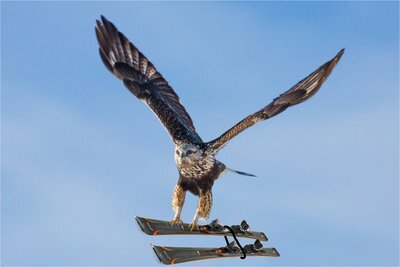 Best way to fly with skis? Ill be flying home for Christmas break and I want to be able to ski back home, but I'm not sure which way would be most cost effective to get all my equipment and skis back. If you have any suggestions that would be much appreciated. I'm flying all the way across the way across the country so I would guess shipping them would carry a huge price tag. just buy a ski bag and stuff your skis and gear in it. Shipping them is going to cost a bunch. Def fly with them if you bring them. Ski bag or can even wrap them up in something. Bring your boots on the plane. Look at the airlines website. Many specifically list ski/snowboard gear and whether it's free r how expensive it is. There are several international airlines that have free ski gear but I have no idea domestic as I've never traveled with my gear. Good luck. Worst case if you've already booked the flight and they charge too much, you could probably borrow some gear back home to save you the hassle. As long as you're not over the 50lb (or whatever the airline classifies as a normal bag) weight limit, airlines treat skis as a normal bag even though the length is oversized. If you go over the weight limit, the fee is a lot. Southwest gives 2 free bags and they're usually pretty cheap for flights too. Boots can count as a personal item at least with southwest and American airlines, so you can still have a carry-on bag too. As stated before, shipping is always gonna be more expensive one way than flying round trip. I always carry my boots on when traveling bc they're the worst thing to need to rent. Many airlines allow a ski bag for the same pricing as long it's whatever the max weight for a normal bag is. Smaller airports generally care way less about weight sometimes too. Carry the boots and check the skis. Fly Southwest air and you can bring your skis and presents and everything for free. Fly Southwest for sure. Pack outerwear and other clothing around your skis in your ski bag. You dont need to carry the boots. A legit padded ski bag with wheels will typically hold your skis boots and poles and also gear and still be under 50lbs. GreedyGreg You dont need to carry the boots. A legit padded ski bag with wheels will typically hold your skis boots and poles and also gear and still be under 50lbs. Always carry boots in the event they lose your luggage.